Kai Schlegelmilch is a political economist and banker by training who is Vice-President of Green Budget Europe, a Brussels-based non-profit expert platform focusing on environmental fiscal reform. Zoltán Szabó is a sustainability consultant. From nearly $110 a barrel, the price of oil dropped about two years ago to as low as $32, a twelve year low. It still remains low today when viewed in a longer timeframe. This is another opportunity for oil to increase the size of its market through low prices, and that is indeed what is happening. Yet, there is equally an opportunity here for a key climate reform. Economists broadly agree that a carbon tax is necessary to reign in the dominance of oil. The price of fossil fuels must reflect the true cost to society, including external costs such as climate change. The concept is simple; shift the tax base and consequently tax bads (use of fossil fuels), not goods (for instance labour), yet reality proved to be challenging. In the EU efforts to set a sufficiently high minimum excise duty, in effect similar to a carbon tax, have stalled after partisan interests of some member states blocked progress. Negotiations over the so-called Energy Taxation Directive, determining minimum tax rates on petrol, diesel, and so on, yielded precious little progress over the past two decades. Today diesel, the most polluting fuel, is taxed in general less than petrol, and ethanol, one of the cleanest of them all, is taxed the heaviest. Progress was not made due to political reasons. Fossil fuel subsidies are rampant around the globe. Some calculations like from the International Monetary Fund (IMF) estimated that environmentally harmful subsidies to fossil fuels totaled $523 billion in 2011. The Overseas Development Institute (ODI) argues that fossil fuel subsidies undermine international efforts to avert dangerous climate change and represent a drain on national budgets. ODI’s recent report finds that European governments provided the transport sector with at least €49 billion per year in direct spending, tax breaks, and income and price support. Much of this support takes the form of subsidies to diesel consumption €21 billion (43%), which has high costs for both health and the environment. We have a different environment for the past two years. Fuel has become cheap again. 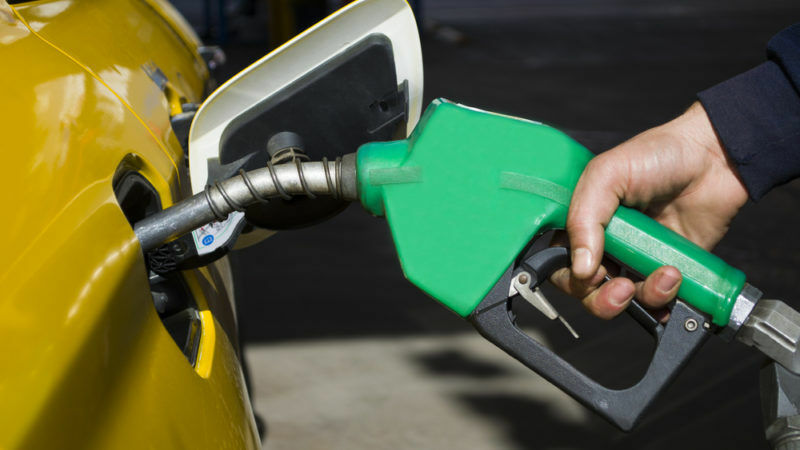 Motorists need to spend less on fuel, and dutifully they are incentivised to drive more. Few would be hard struck if taxes on petrol and diesel would be raised now. At the oil price trough about two years ago consumers would not have felt the pain at all. Despite the slight increase in oil price since then, they are still happy to enjoy the low cost of driving a car. It is the right environment now to carry out a tax increase. Taxation should reflect the true costs to society, so for instance tax level on diesel should go up, while on ethanol go down, if from sustainable sources such as conventional or advanced ethanol produced in Europe. Also, other taxes should be reduced to ensure a revenue-neutral reform. What if the EU makes an effort now to drastically raise excise duties in line with external costs all over Europe? The intended revision of the EU-Energy Tax Directive and the forthcoming proposal for an EU-Budget 2021-2027 including EU’s own resources offer a great opportunity. Pierre Moscovici, European Commissioner for Economic and Financial Affairs, said at the Clean Air Forum in Paris on 17 November that the European Commission is working on such an environmental taxation proposal. In 2015, Indonesia was able to scrap its subsidy on transport fuels following the drop in oil price, and the government was hence able to drastically reduce its budget deficit as well as make a bold step towards greenhouse gas emissions saving. Surely the EU can find at least that level of political will in the aftermath of the Paris climate negotiations. At the same time, it ensured that no social negative impacts occurred by paying according to compensation which led to a broad acceptance of the reform. Taxation requires unanimity decisions in the EU. That is a very tall order. EU leaders could show true climate leadership if they worked now to find ways to overcome previous resistance and unifying their forces, grabbed the window of opportunity and made a bold step to levy a carbon tax in Europe. That would certainly fit the increased ambition they committed to in Paris to do everything possible to limit global warming well below 2.0 degrees Celsius. If they can’t take this one key step, then how can the rest of the world take Europe’s climate ambitions seriously? There is still a window of opportunity. Can the EU overcome its inflexibility to seize the opportunity?